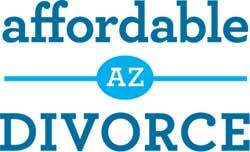 People often contact us at Affordable Arizona Divorce looking for a “paralegal divorce.” Well I hate to tell you, but a paralegal divorce doesn’t actually exist. What our callers typically mean and are normally looking for is a divorce completed by a legal document preparer. You see, in Arizona a paralegal can only complete legal documents under the supervision of an attorney. So unless you want to hire an expensive Phoenix divorce lawyer, you can’t have a Phoenix paralegal complete your divorce paperwork for you. A paralegal alone is not certified to do so. When you hire a Phoenix divorce attorney to represent you, they commonly have a paralegal on their staff that they pay to complete paralegal duties which include completing legal paperwork. But again, a paralegal cannot complete divorce paperwork without the supervision of an attorney. So you might pay an attorney thousands of dollars and the attorney in turns pays a paralegal a rate similar to what you would pay a legal document preparer. Now this is not meant to discourage you from hiring a lawyer if you need one. But if you are simply looking for completion of divorce documents, you typically don’t need an attorney for that alone. In order to get an Arizona “paralegal divorce” you can hire an Arizona certified legal document preparer. A certified legal document preparer is someone who is oftentimes a certified paralegal but in addition, and this is the important part, they have been certified by the Arizona Supreme Court as a legal document preparer. The Arizona Supreme Court certifies that the Phoenix legal document preparer has the experience, knowledge and ethics to complete and file legal documents for consumers without the supervision of an attorney. As a result, certified legal document preparers typically operate independently, which allows you to avoid hiring a lawyer. The certification for legal document preparers involves meeting requirements for education and experience, passing a comprehensive exam and undergoing a thorough FBI background check. All of this is done to insure that Phoenix legal document preparers have the know-how and are capable of competently completing legal documents and filing them with the Court according to the Court’s rules and standards while acting ethically and maintaining your confidentiality. Instead of searching for a “paralegal divorce”, search instead for a “Phoenix legal document preparer” that can complete your divorce. 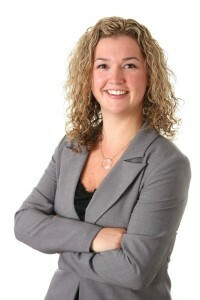 Legal document preparers offer services at a greatly reduced cost from what you would pay a Phoenix divorce attorney. So if you just need someone that knows how to fill out and file legal documents with the Court on your behalf, but you don’t want to hire an expensive attorney, consider a certified legal document preparer – not a paralegal. As you examine Phoenix legal document preparers in your search for a “paralegal divorce”, make sure you determine their actual experience with Arizona divorce. That might seem obvious, but there are legal document preparation services based in other states (and sometimes other countries) who don’t really know the ins-and-outs of the Arizona divorce process. You might also find companies that offer services for all types of document preparation and are not focused on divorce. When it comes to your divorce, which is going to greatly impact not only your life now but also your future because it involves your children, your money, property, assets and debts, etc. you need to be certain you are engaging the services of someone with real Arizona divorce expertise. Or simply consider your search complete! Jessica Worley, owner and operator of Affordable Arizona Divorce is both a certified paralegal and a certified legal document preparer. She worked in Phoenix family law firms as a legal administrator and paralegal for ten years prior to forming Affordable AZ Divorce. Over the years, she encountered many individuals who simply needed help because they didn’t understand the complicated Court forms or how to comply with all of the Court’s rules, but couldn’t afford to hire a divorce lawyer for thousands of dollars. Jessica became passionate about offering an affordable solution to these individuals because she believes everyone deserves to achieve their legal goals. As she worked in law firms for a decade, Jessica has encountered almost every divorce situation you could imagine and understands that each Arizona divorce is unique. 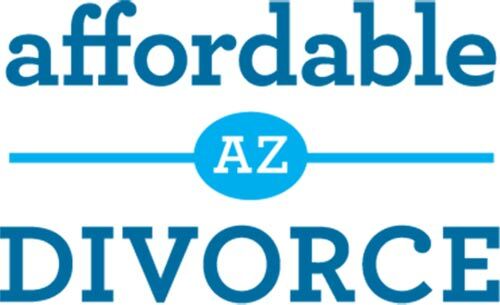 When you contact Affordable Arizona Divorce you will speak with Jessica directly and she can explain all of your available option, allowing you to select the route that works best for you. You maintain control over your divorce while having a certified professional complete all the technical portions for you. 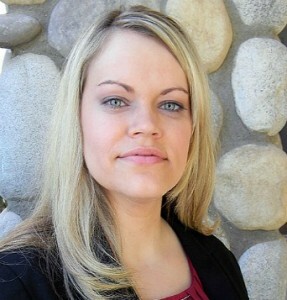 Jessica is happy to guide you through each step of your Arizona paralegal divorce in the most stress-free, cost-effective and timely manner possible. Contact her today at jessica@azdivorcepro.com or 602-283-3800.